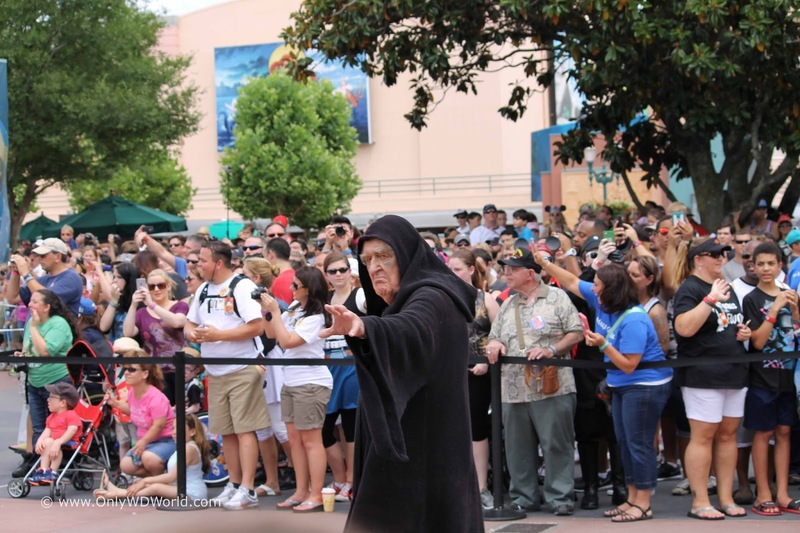 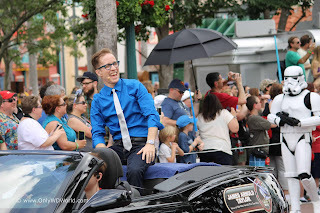 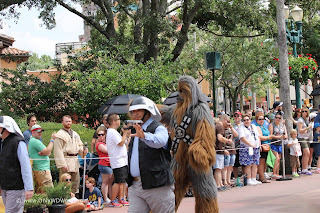 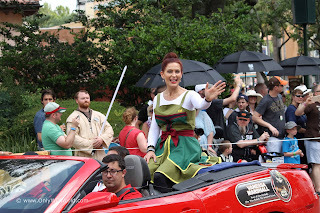 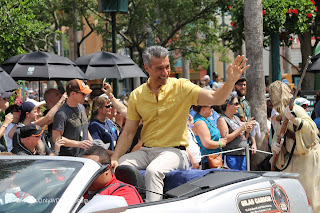 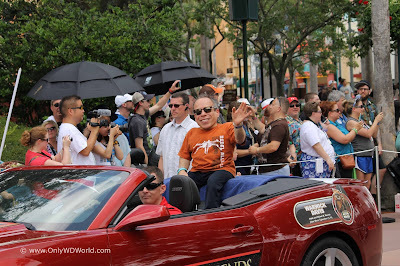 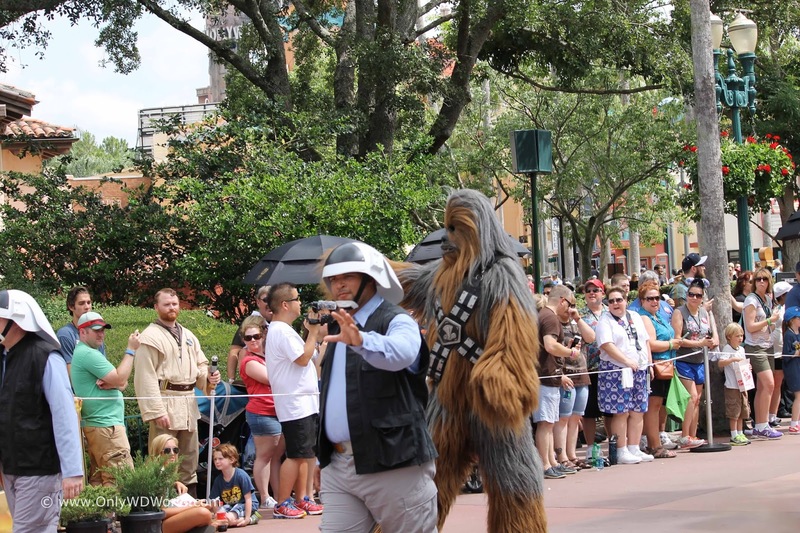 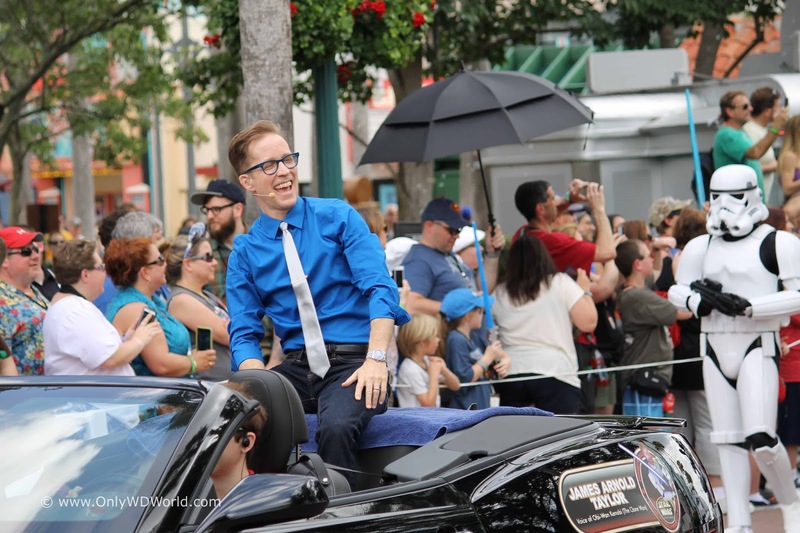 When the Walt Disney World Resort invites the celebrities and characters of Star Wars to Disney's Hollywood Studios each year for Star Wars Weekends, no single event is more enjoyed than the Legends of The Force motorcade. 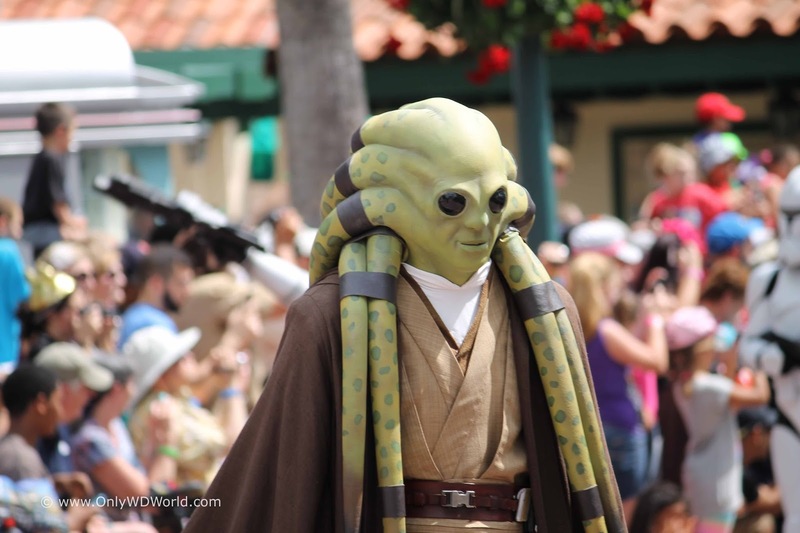 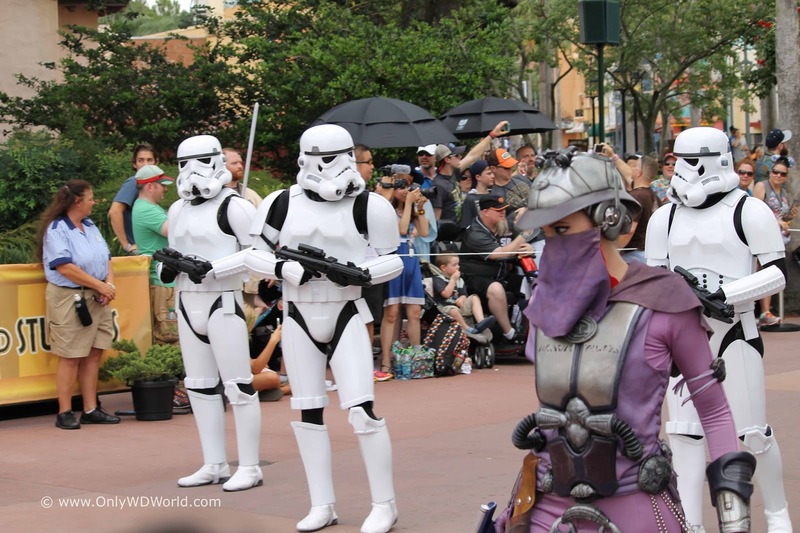 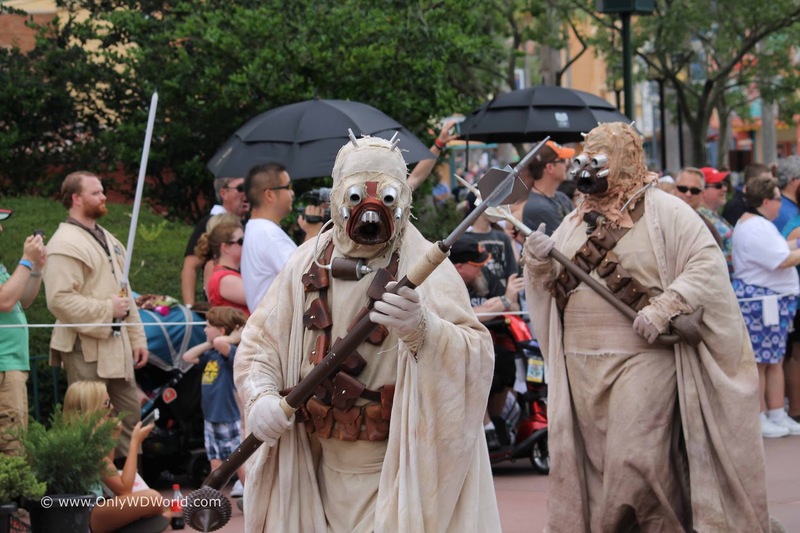 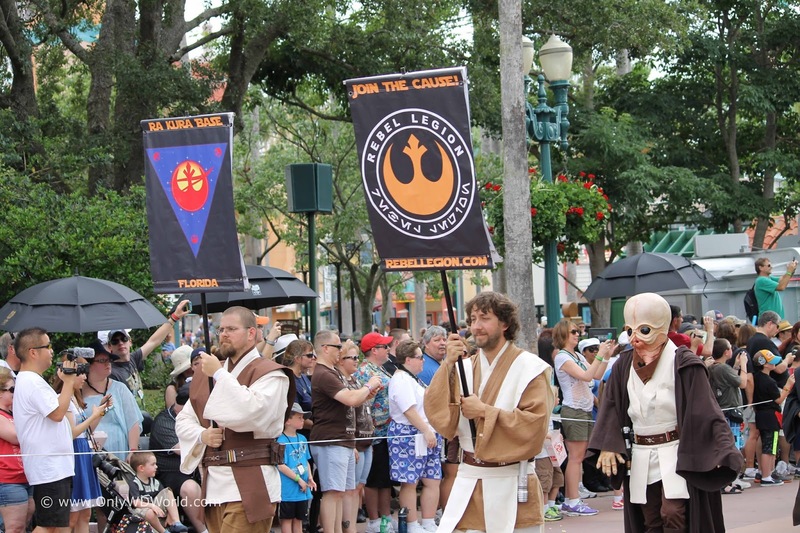 This Star Wars themed parade combines Star Wars fandom and Lucasfilm characters along with a few Star Wars celebrities for added excitement. 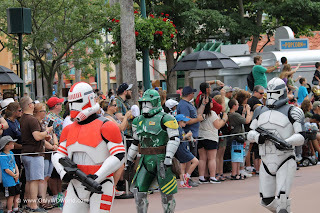 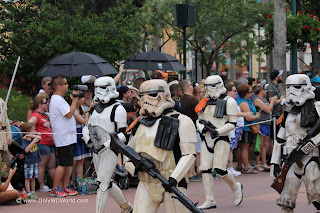 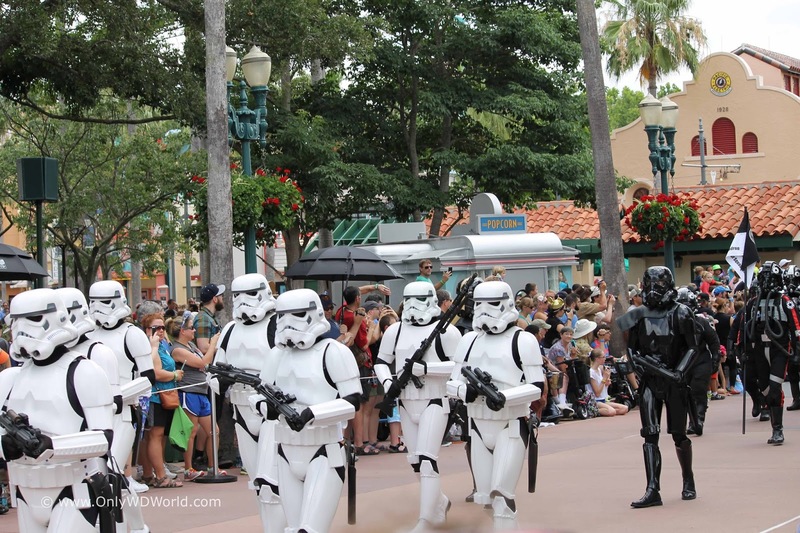 Each day of the five weekends that make up the Star Wars Weekends have a special parade at 11:00am that is called the Legends Of The Force Motorcade. 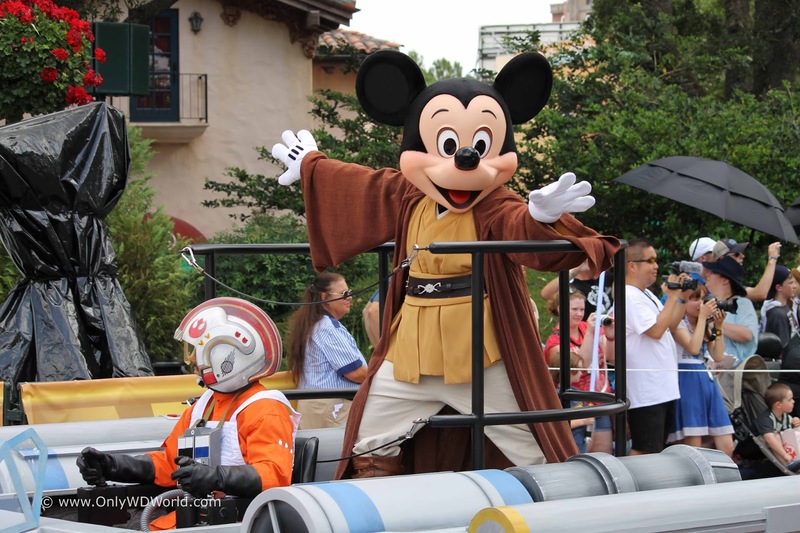 The parade is led off by Mickey Mouse portraying the brave Jedi Mickey! 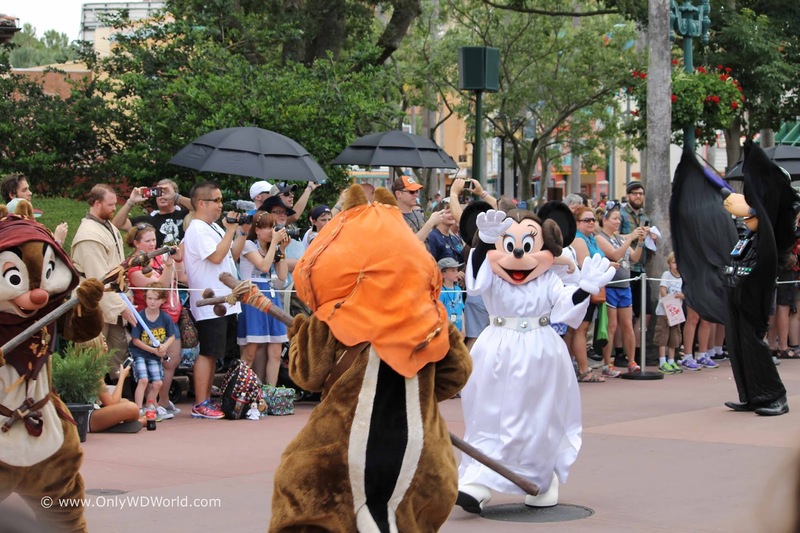 Jedi Mickey is followed by fellow Disney animated legends Minnie (Princess Leia), Goofy (Darth Vader), Donald Duck (Stormtrooper), and Chip 'n Dale (Ewoks). A regular part of this parade now belongs to the most loyal of Star Wars fans. 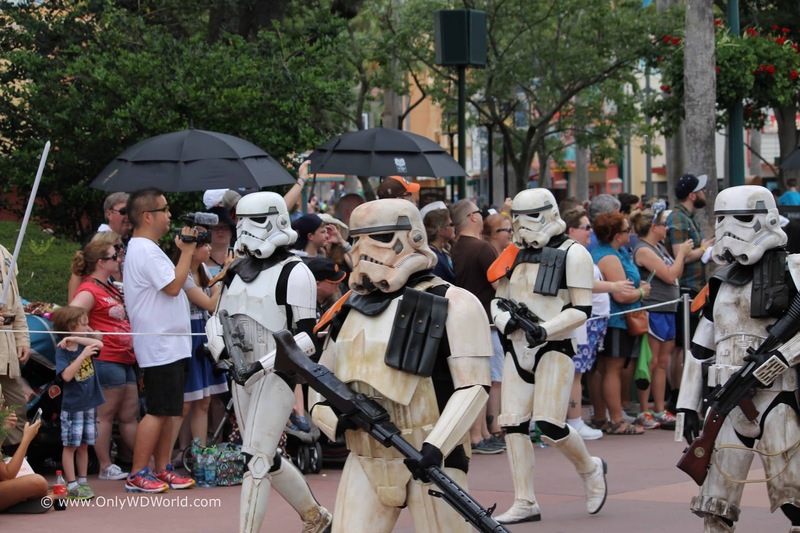 The 501st Legion and the 501st Florida Garrison march in the parade in their homemade Star Wars costumes. They have truly taken cosplay to another level and their costumes rival the ones developed by the film studios. 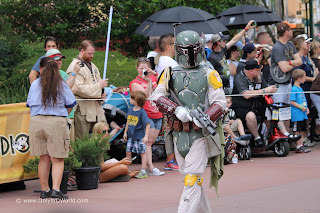 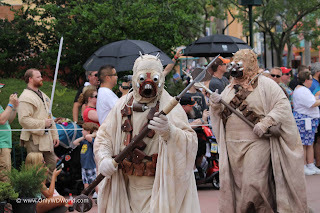 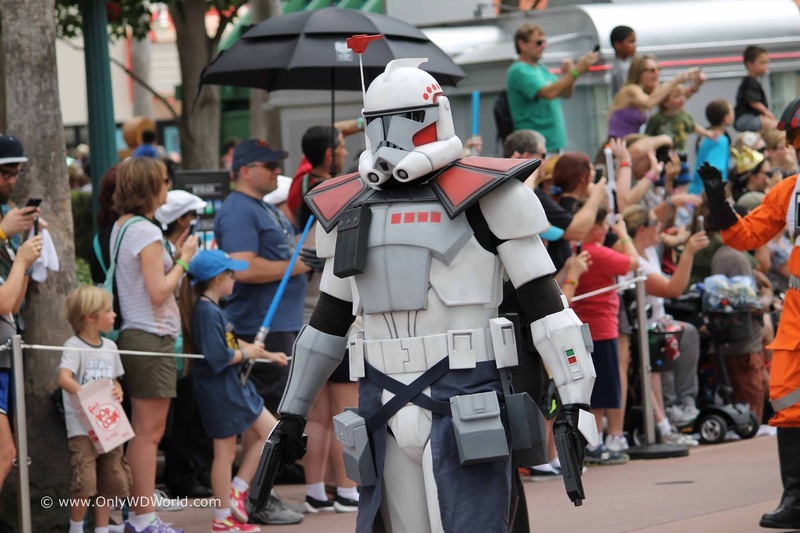 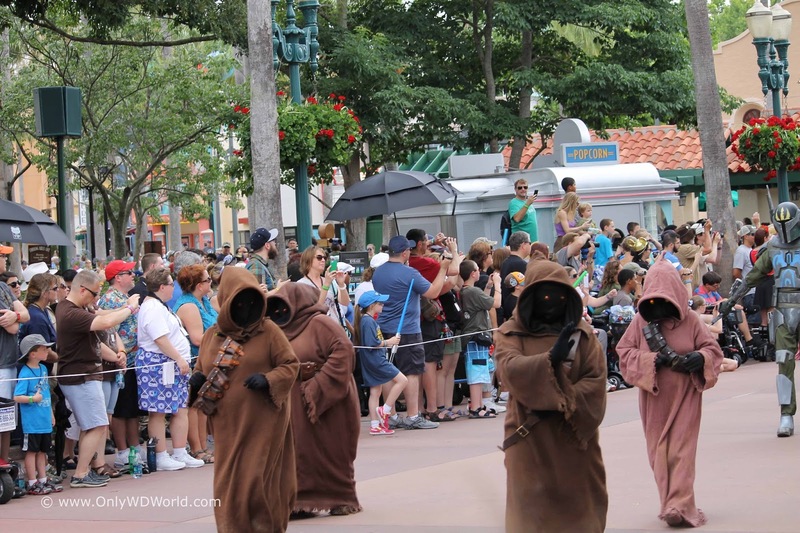 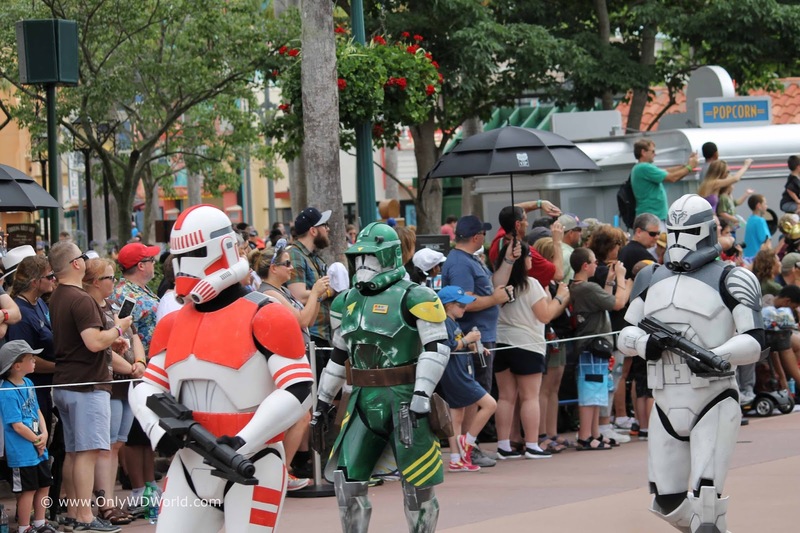 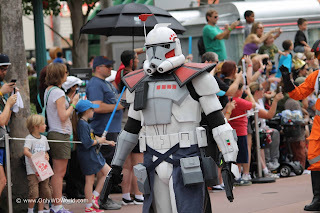 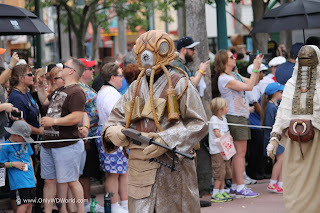 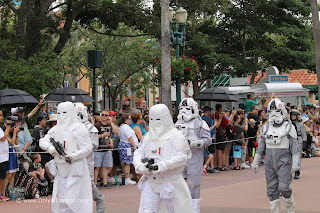 We are constantly amazed by the awesome collection of dedicated Star Wars fans that dutifully march each year in every parade for the entire Star Wars Weekends. 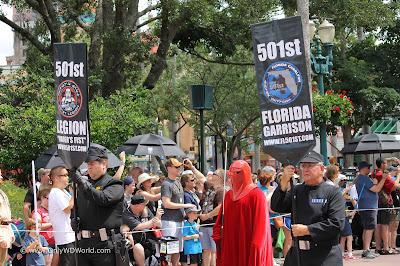 Al of these characters represent the Empire and the Dark Side of the Force. 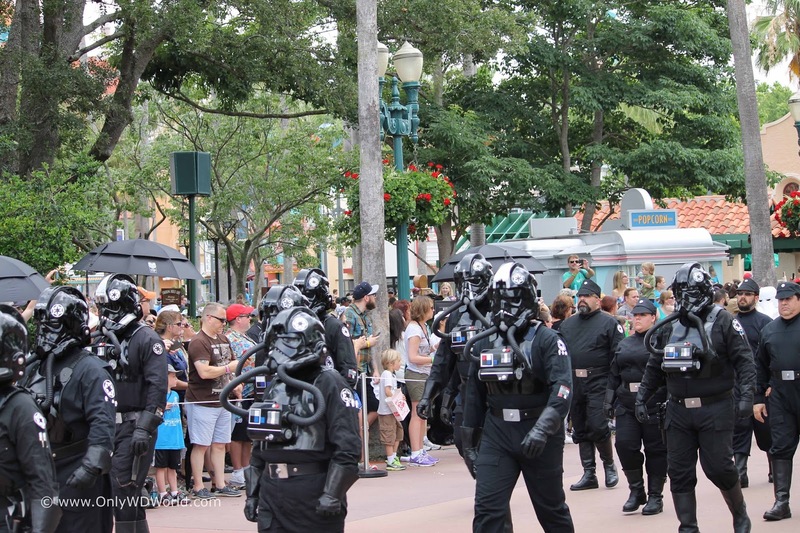 The Empire may be mighty, but it is not the only side of the Force represented by the loyal fans. 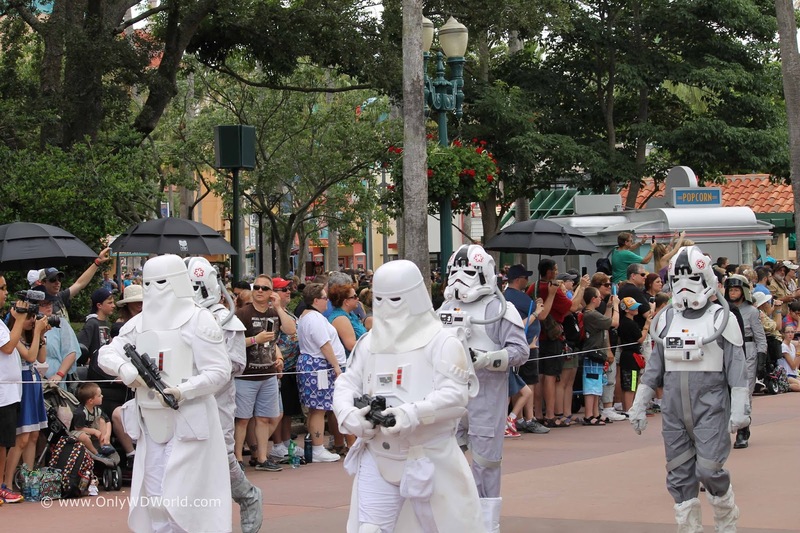 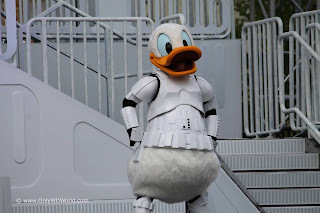 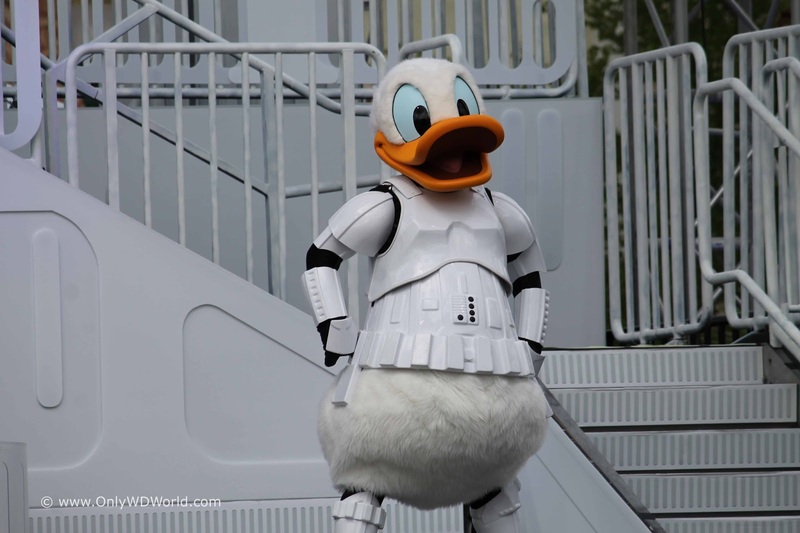 The Rebel Alliance is supported by the Rebel Legion and they take their costumed roles just as seriously as their Empire supporting counterparts. On the good side we find, Jedi knights, fighter pilots, clone trooper, and an odd assortment of characters including Ewoks and one very tall Wookie. Star Wars Characters - Jedi, Sith, and so much more! 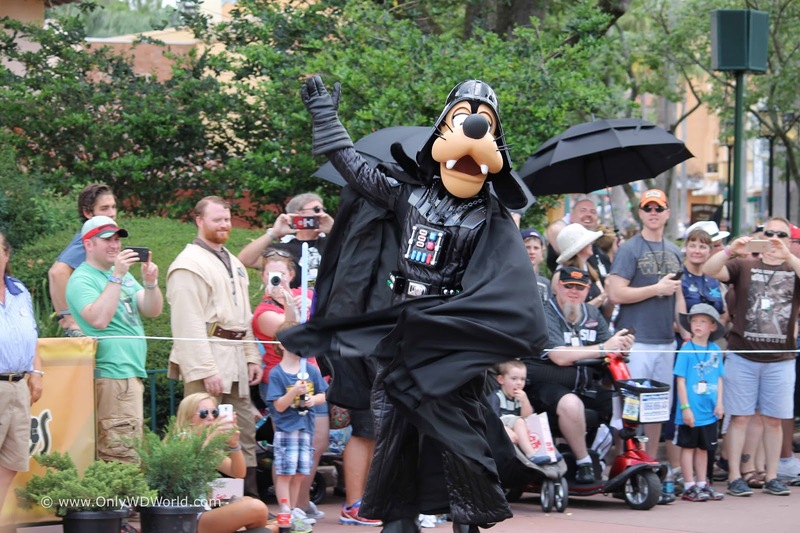 The official characters are not to be outdone. 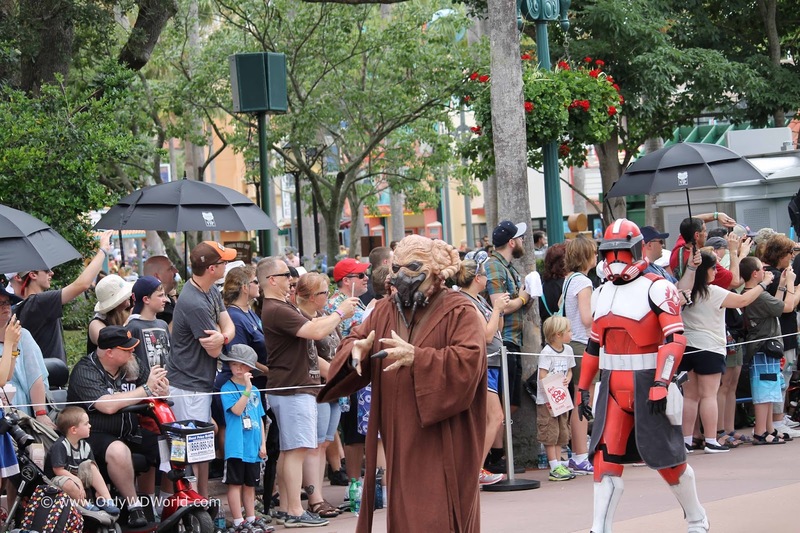 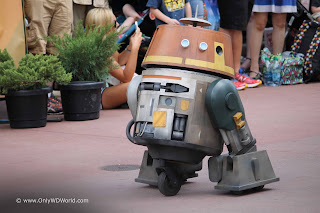 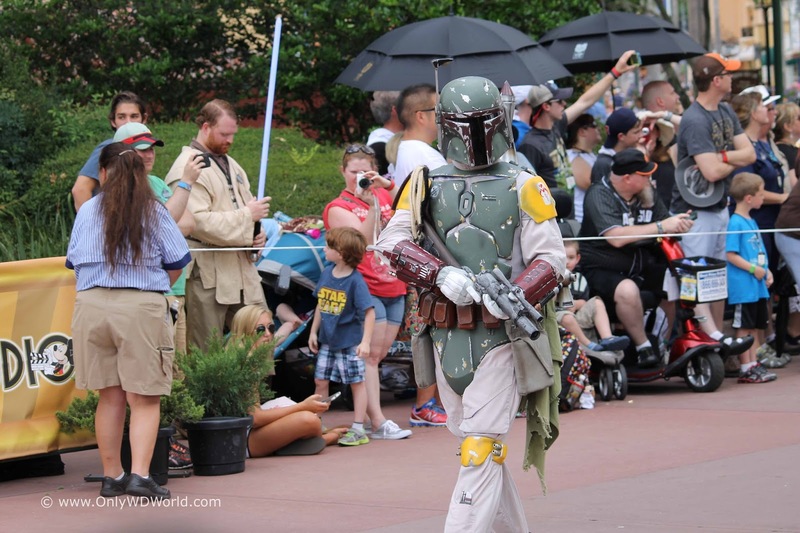 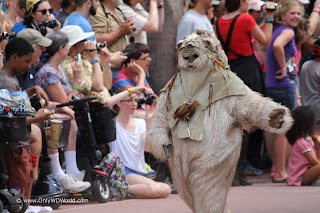 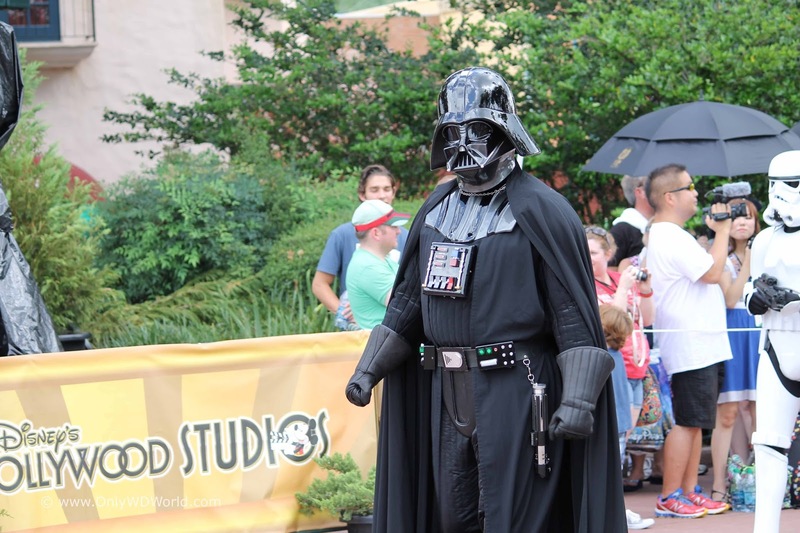 All of your favorite Star Wars characters usually make an appearance along the parade route. 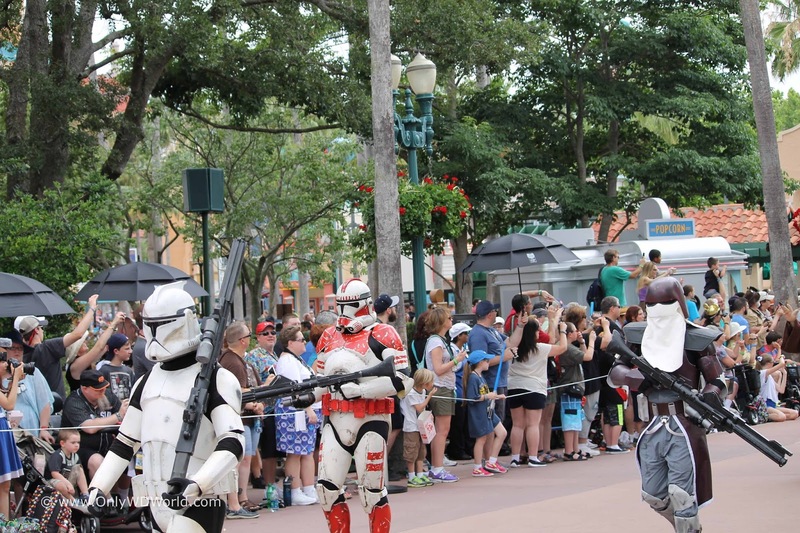 There is equal representation for both the Empire and the Rebel Alliance during this peaceful parade. 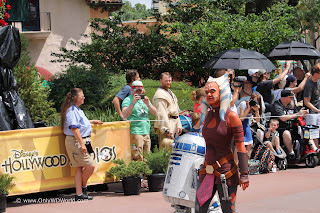 Fans love to take pictures of their favorite characters as they pass by. 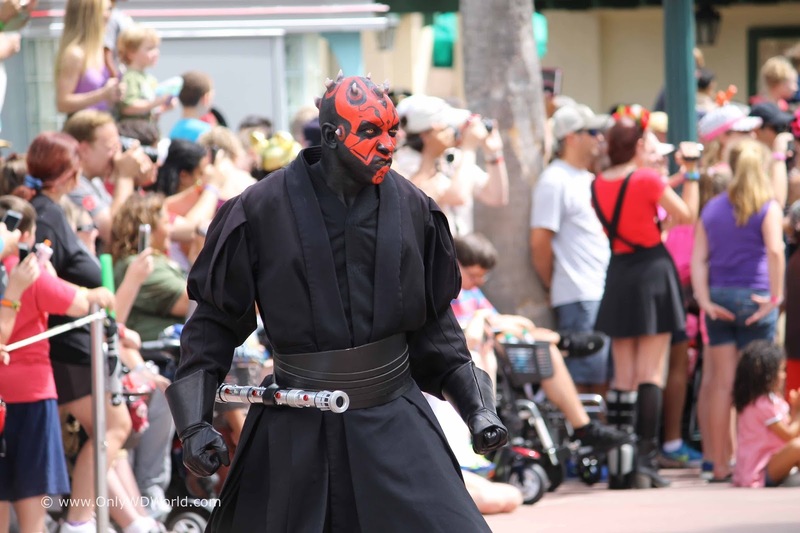 There is also excitement to capture the newest characters from the latest Star Wars movies and animated series. Currently Chopper, Ezra, and Sabine from Star Wars Rebels represent the newest characters. 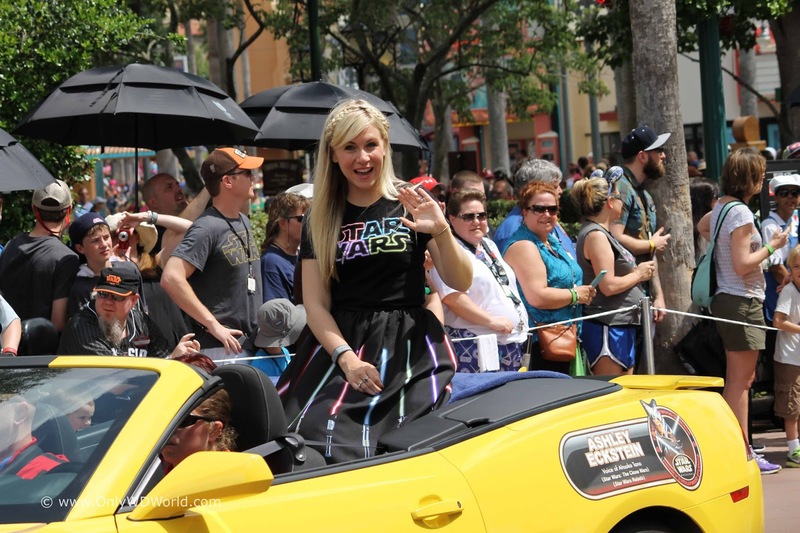 No Legends Of The Force Motorcade would be complete without Star Wars Celebrities! 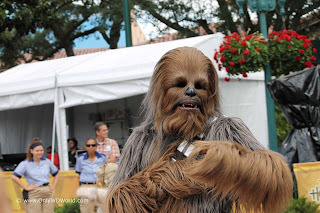 Each weekend brings a different collection of Star Wars actors, voice characters, and/or people that were intimately involved in making the Star Wars Movies or the animated series. 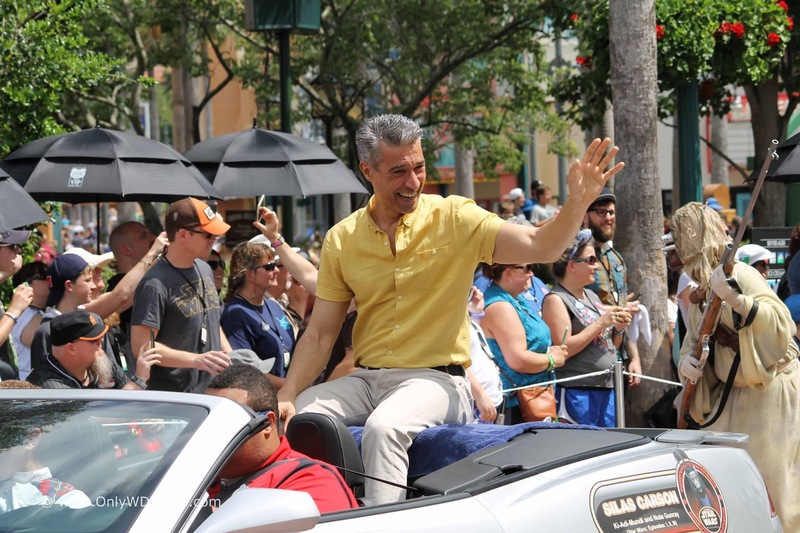 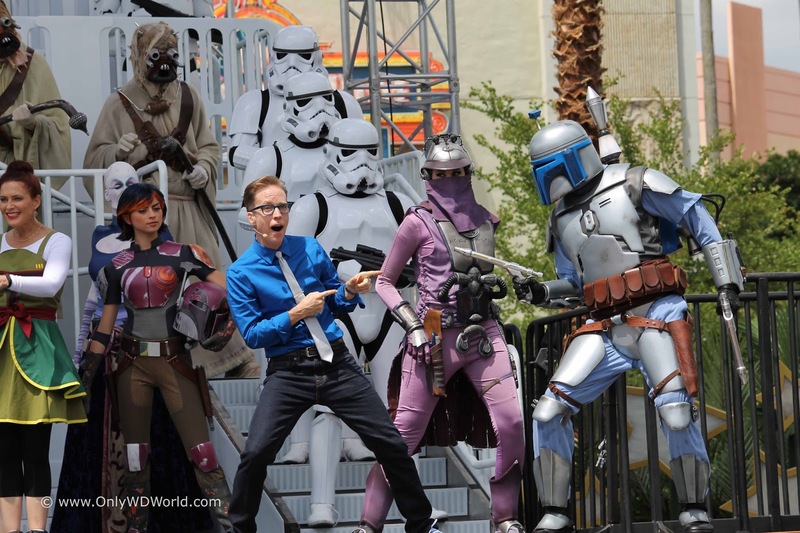 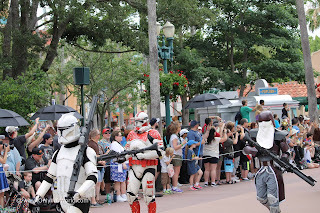 Don't miss the Legends of the Force Motorcade during your visit to Star Wars Weekends. 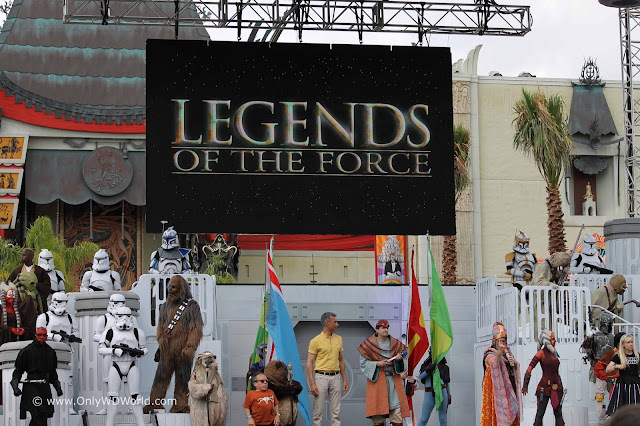 This is your best opportunity to see all of the Celebrities and Star Wars Characters at one time. It is also your only chance to see all of the great Star Wars fans from the 501st Legion and their incredible costumes! 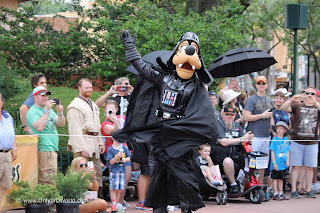 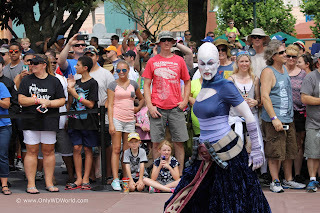 Also don't miss the great photo opportunities at the end of the parade when all of the Star Wars Characters and Celebrities all appear on stage together. 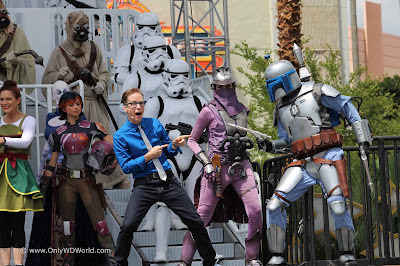 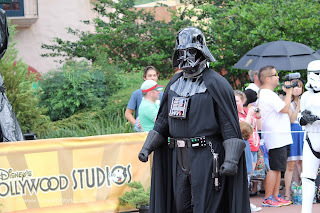 0 comments to "Star Wars Weekends: Legends Of The Force Motorcade"